Sales Tax : 6.75% - Sales tax applied to Hammer Price. Payment Instructions: Maximum BP per Item is $5000! As per the Proxibid Unified User Agreement, being the high bidder is a 'legally binding obligation' to pay for all won items. Payments are NOT automatically taken via Proxibid. To make payment arrangements, call 254-848-2333. All payments must be made before 3:00 p.m. Central Time on Wednesday following the auction end. Accepting Cash, Credit Card, Money Order, Wire Transfer We offer a 3% buyers premium DISCOUNT on any payments made by 3:30 p.m. CST on MONDAY FOLLOWING THE AUCTION. Shipping Instructions: Buyers are responsible for pickup by 5:00 p.m. Thursday following the auction end and are responsible for any shipping costs that are incurred. No refunds will be given for items not retrieved by this designated pick up time. 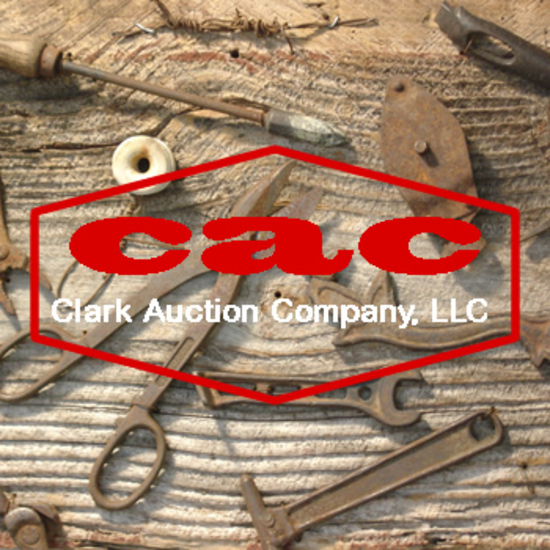 Preview Date & Times: Friday before the auction from 9:00 a.m. to 6:00 p.m.
Checkout Date & Times: Buyers are responsible for pickup by 5:00 p.m. Thursday, following the auction, and are responsible for any shipping costs that are incurred. No refunds will be given for items not retrieved by the designated pick up time. Driving Directions: Located North West of Waco, TX on Highway 6. Approximately 12.4 miles west of I-35 and Hwy 6 Intersection, Approximately 6 miles after crossing Lake Waco via the Twin Bridges. Please read the Proxibid Unified User Agreement ('Agreement') carefully, as it contains the terms and conditions that will govern your use of the Proxibid website and services. This Agreement constitutes a legally binding agreement between you and Proxibid. Your clicking on the button marked 'I ACCEPT' and your ongoing use of the Proxibid website (www.proxibid.com) indicates your acknowledgment that you have read, understand, agree to, and accept this Agreement. It is your responsibility to carefully read this Agreement before using this website or the Proxibid Services. If you do not wish to be bound by this Agreement, you may not use the Proxibid website or services. https://www.proxibid.com/asp/UnifiedUserAgreement.asp ALL ITEMS ARE SOLD AS IS! Bidders are to rely on their own inspection and information. Any lot listed as 'Parts' or 'Scrap Metal' do NOT have a title/paperwork, is sold AS IS, and no support will be given to questions/problems regarding title nor registration. Lots with titles/paperwork will be described as such. Bidders are responsible for all fees regarding title transfer, inspection, and registration. For live auction-style events, the Seller is allowing the Buyer to participate in the event through Internet prebidding and live bidding. The Buyer acknowledges and understands that such services may or may not function correctly the day of the event. Under no circumstances shall the Buyer have any kind of claim against the Seller or anyone else if the Internet service fails to work correctly before or during the live event. The Seller will not be responsible for any missed bids from any source. Buyers, who desire to increase the chance that their bid is acknowledged during a live event, should use the prebidding feature.